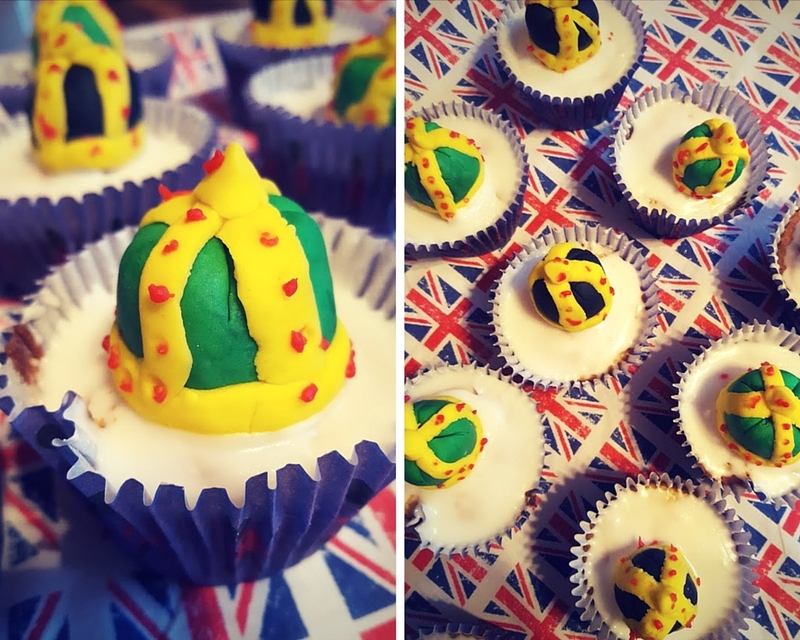 Queens Crown Cupcakes And Throwing A Street Party Tips. Over the weekend I have been working with Dr. Oetker on a really fun baking project. I am so excited to finally share my post. 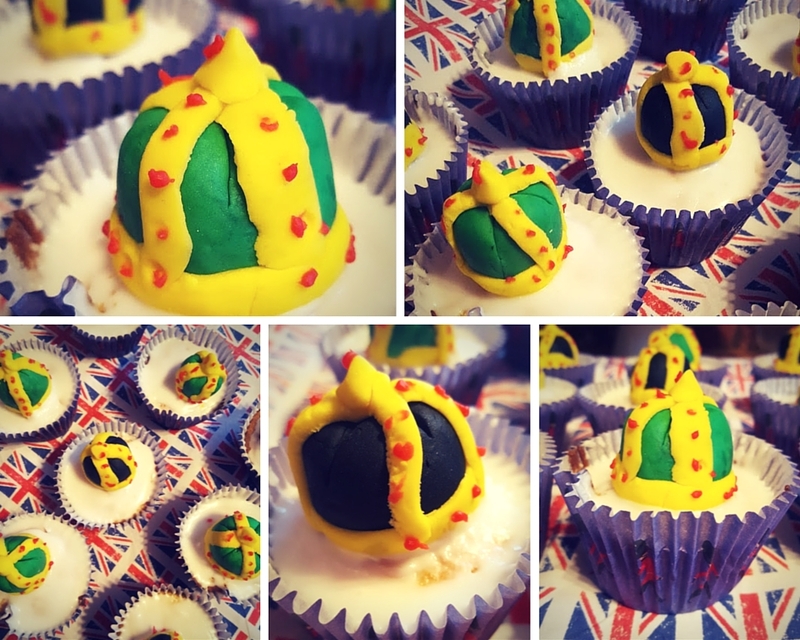 I have been making cupcakes to celebrate The Queen’s Birthday. I am also sharing my top tips on throwing your own Street Party. Having 4 children I have had to become a dab hand at organizing parties. I certainly don’t need any excuse to make yummy cupcakes! 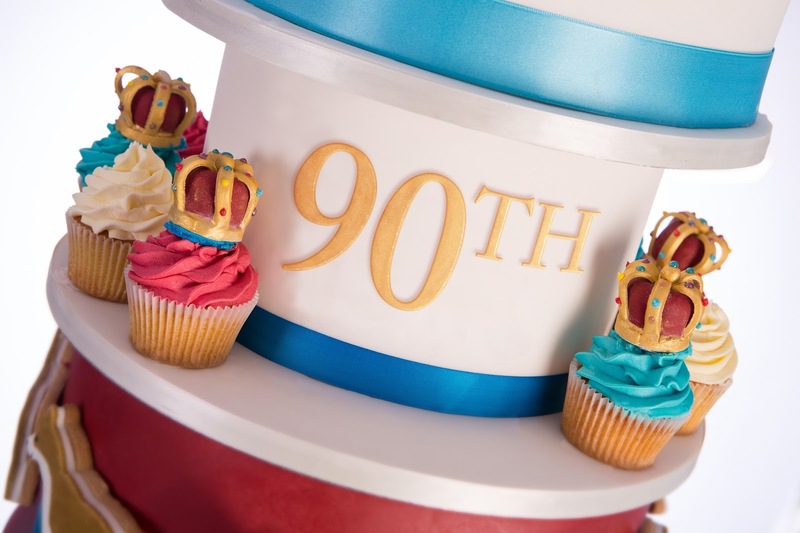 Ahead of the Queen’s Birthday celebrations, Dr. Oetker has teamed up with baking expert Juliet Sear to create a nine-tier Birthday cake. 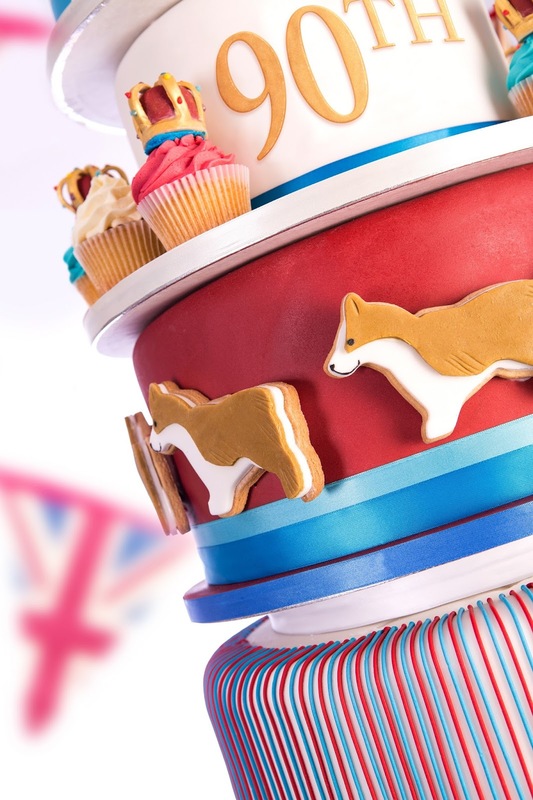 This impressive bake honours some of this patriotic nations favourite things; adorable Corgis, traditional party bunting, Union Jack colours and the Queen’s Jeweled Crown. How amazing is this cake!? I really wish I was this talented! I got sent a lovely parcel full of cake topping from Dr. Oetker to try this recipe out. Putting my own little twist on these beautiful Fairy cakes, see below. 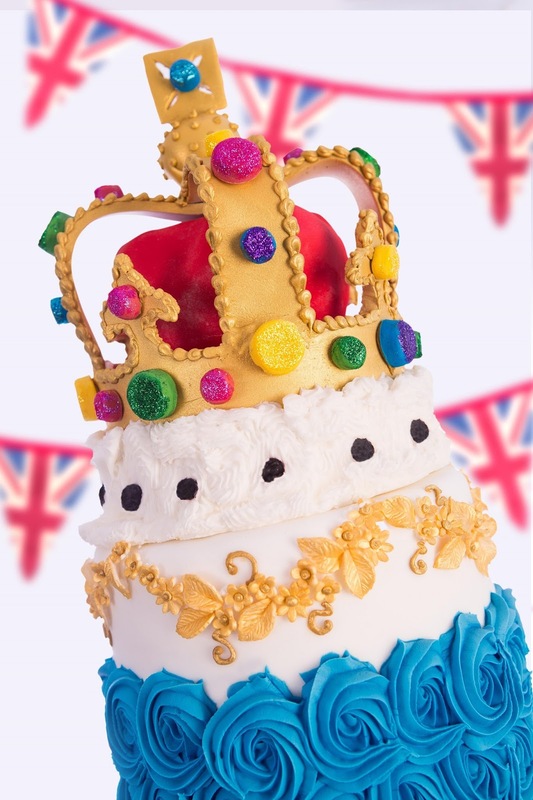 These cake recipe has been created for you to try out at home and celebrate the Queens Birthday too. Preheat the oven to 190˚C (170˚C fan assisted oven, 375˚F, gas mark 5). Put the Baking Cases in 10 fairy cake tins. Put the margarine in a mixing bowl with the caster sugar, egg and Vanilla. Sift the flour on top and using an electric whisk on a low speed, gently whisk the ingredients together. Increase the speed and whisk for a few seconds until well blended and creamy. Divide the mixture equally between the cake cases and smooth over the tops. Bake for 16 -18 minutes until risen and lightly golden. Transfer to a wire rack to cool completely. Using a teaspoon, scoop out a neat portion of sponge from the centre of each cake and fill with jam. Press the cut-out sponge back on top to seal in the jam. Set aside. To decorate, gently knead the red and blue Ready to Roll icing separately to make pliable, then cut each into 5 pieces. Form each into a ball. Cut a deep cross in the top of each and roll the base of each ball between your fingers to make it narrower than the top – they should look like tiny chefs’ hats. The first attempt at the Crowns and they were not going too well. So as not to waste the ingredients I made these red white and blue cupcakes. These were so easy to make. Same ingredients as above. Just roll the ready-made icing and cut out shapes with cookie cutter. Easy for anyone. Then my second attempt at the Crowns went much better. I am sure by the 3rd or 4th attempt they would be perfect!? Fingers crossed. The Queen’s official Birthday is on Saturday, June the 11th. On Sunday the 12th, the Mall outside Buckingham Palace will be turned into a huge street party with a picnic and street performances for 10,000 guests. How amazing would it be to go to London and be a part of this? My Husband will be working that day so we will have to make our own party in the garden or on the street. Any excuse to make a cake! Have some fun. 6 days before: Make a list! What kinds food do you want at your party? Do you want sandwiches? or hot food on the BBQ’s? Who will be at your party adults or children? So you have an idea of how many drinks you need. With how much alcohol. 5 days before: Make or buy some fun decorations and bunting. Something typically British!! Pinterest is great for finding ideas on party styling. 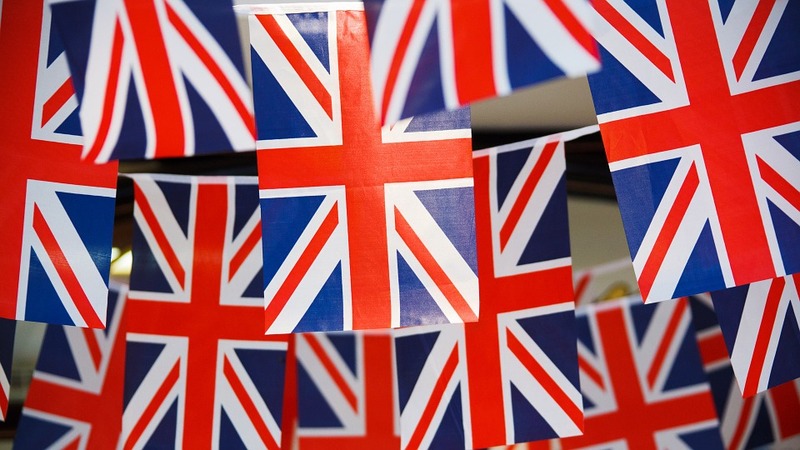 If you search something like Queen Street Party, Bunting, you will find some amazing ideas. 4 Days before: Plan your treats recipes. What recipes do you need and how many do you need to make? 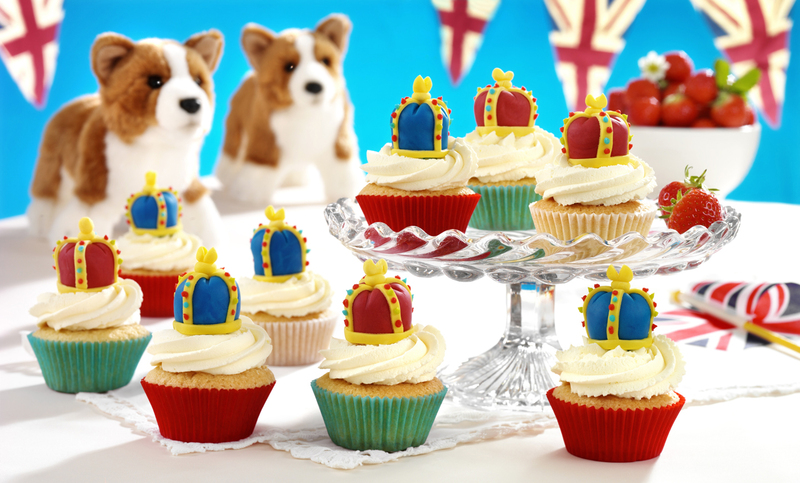 Cakes, cupcakes corgi biscuits? 3 days before: Try some new recipes out for your family first, just so you know how to make them right for the party. My crowns turned out much better the second time around. 2 days before: Double check your list, buying all your fresh ingredients, along with anything else you need for the party. Food, baking ingredients, drinks, napkins, paper cups and plates. If you’re having a BBQ do you have everything you need? 1 day before Bake all your cakes and treats in bulk. Store them in airtight boxes. Chop up salads etc making it easier on the day. If you have a big airtight box, cut up cobs ready for the day. So much easier to have them ready sliced. If having sandwiches, make egg or tuna filling the day before and keep them in the fridge. The big day. Hopefully, everything is all ready just to get out and be put into place. Enjoy!! How would you like the chance to win your very own four-tier version of the celebratory cake for your own party? Sunday Lunch Scones: Queen’s Birthday. 2 Nights Out In One Month…. 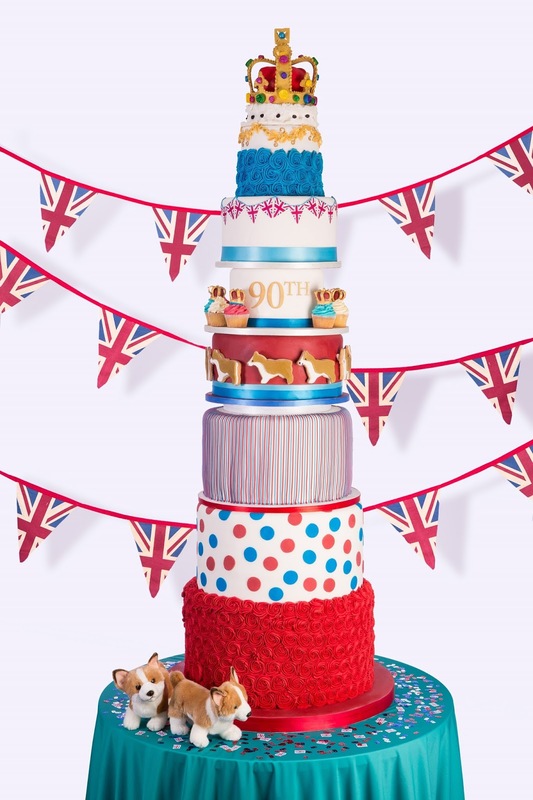 "Roast Salmon With Fennel And Pistachio Dukkha…"
"Homemade Garden Ideas : Bunting.."
An absolutely amazing cake – you done queen and country proud! OH WOW! Such bright pics <3 and those cakes 🙂 YUM! OMG. That big cake is so pretty. I love the colours. Thanks Stella, it looks amazing does't it!? The cupcakes look amazing and wow!That big cake is amazing! These cupcakes are amazing, where you you get the Union Jack cases from? I'm a MASSIVE cake fiend. This looks incredible. I would totally face plant that cake. OMG that cake is massive, that would have taken me a week to make. or 4 days without the kids. Hehe Jessica, me too! Pinterest pictures are so perfect, aren't they !? I did not even attempt to make those crowns when I did this – sugar craft is so not my thing. I am in awe of Juliet's skills however. Thanks for stopping by Helen. Ha they were so hard. Juliet's work is amazing, isn't it! Ha, Kerry I would love a street party if everyone did a bit. I think it would be a lot for just one person to organise 🙂 I think it will be more of family and friends on the garden here..
Amazing! I absolutely love the little corgi biscuits on the four tier cake – please do a tutorial for these next! You made such fun cakes, and that 9 tear fancy one is just amazing isn't it! Dr Oetker stuff is always so reliably good .Street parties are always so weather reliant so you need to add ordering good weather to your list! Thank Julia, I love that cake! Haha yes it would only work out if it wasn't raining that day.. I love your cup cakes. I wouldn't stand a chance of making anything as neat as that! This is amazing! I am lucky if I can get my cakes out of the pan in one piece. Oh gosh! Everything looks SO pretty! :)I would love for you to add this to my Recipes and Crafts Facebook Group: https://www.facebook.com/groups/pluckyrecipescraftstips/Thanks for joining Cooking and Crafting with J & J!